Get the vizual EDGE for Night Driving! Buy three bottles of vizual EDGE for $89.95 and get a FREE Night Driving Kit! 3-bottles of EyePromise vizual EDGE with Night Driving Kit! Watch two EyePromise users share their EyePromise Moments! Struggling to see while driving at night? You're not alone. By age 40, forty percent of people feel discomfort while driving at night. Traffic death rates are 3 times greater driving at night versus during the day, according to the National Safety Council. But every driver deserves to feel confident and independent, regardless of age. And EyePromise vizual EDGE can help! Every effort that goes into making driving safer is worth making. 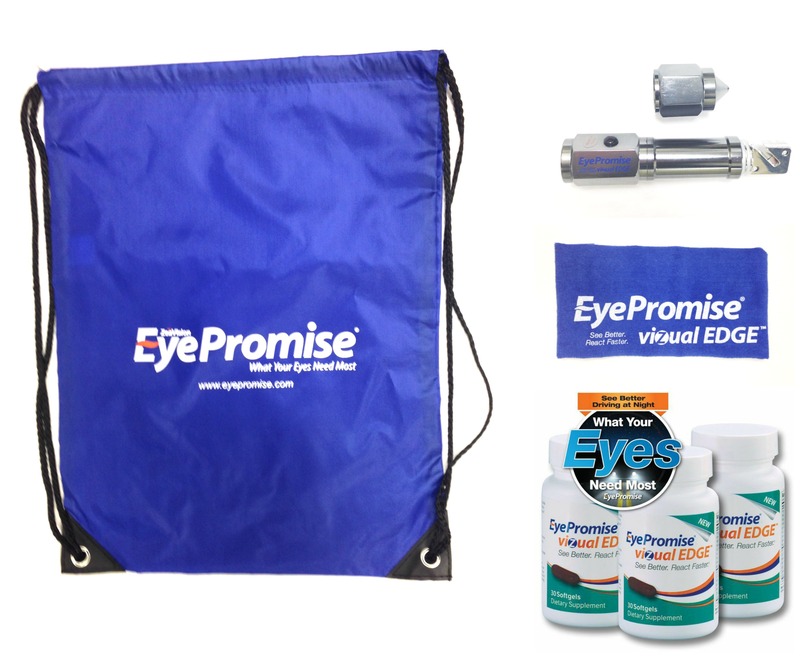 That's why EyePromise is giving you a FREE Night Driving Kit that includes an EyePromise flashlight, headlight cloth, and EyePromise gym bag, and a three-months supply of EyePromise vizual EDGE! Here are recommended tips to make you feel more confident driving at night. EyePromise vizual EDGE is an advanced, high-quality formula containing the highest level of dietary Zeaxanthin and other essential ingredients proven to maximize performance for improved vision. 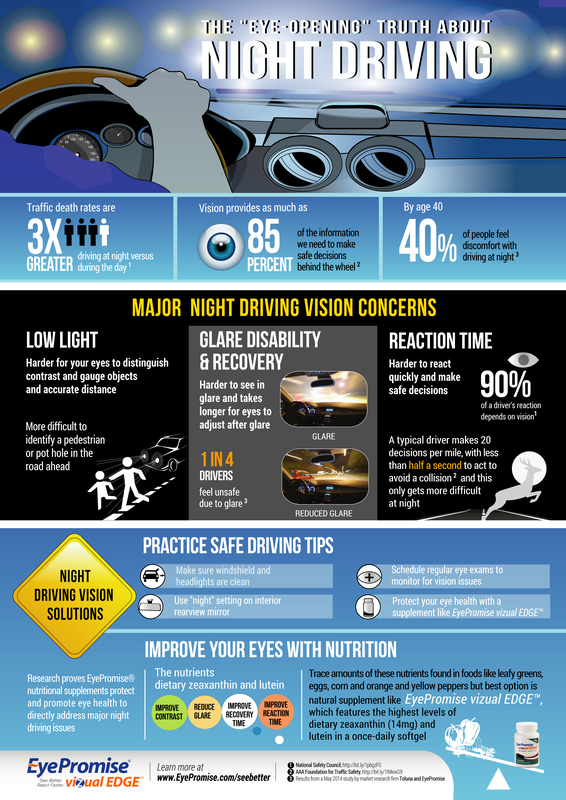 Research proves nutritional supplements protect and promote eye health to directly address major night driving issues. Dietary zeaxanthin and lutein increase contrast, reduce glare, and improve recovery time. 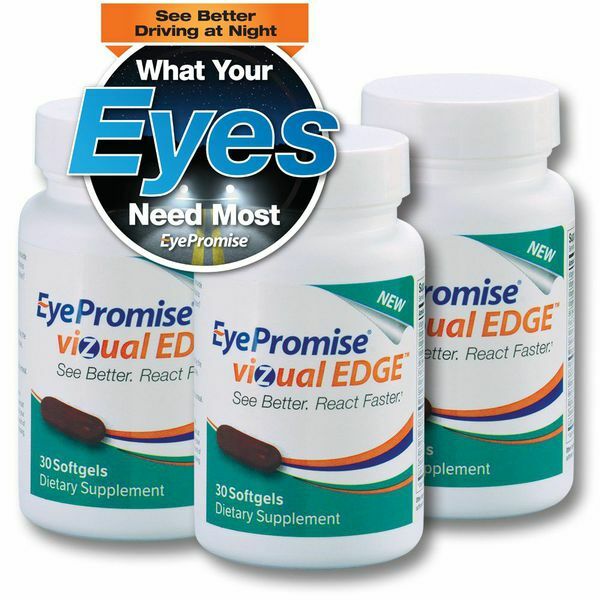 EyePromise vizual EDGE is a one-a-day-vision supplement that comes with a money-back guarantee! Click the image to learn more about Dianna and other EyePromise users and their experiences with night driving. 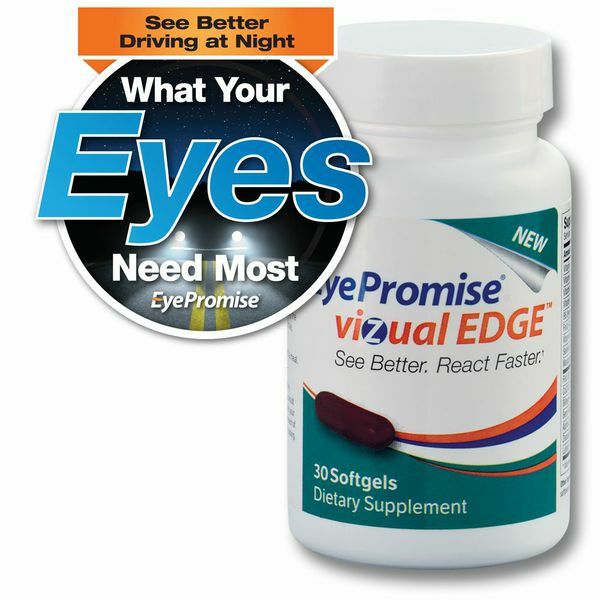 Buy three bottles of EyePromise vizual EDGE for $89.95 and receive FREE Night Driving Kit! Enter coupon code "indp3" for special offer! Considered one of the leading companies in ocular nutrition, EyePromise places the highest priority on product quality. Our eye vitamins are pharmaceutical-grade, contain the highest-quality ingredients, and are manufactured to the exacting standards of the FDA current Good Manufacturing Practice (cGMP) requirements. Sign up here to recieve the latest news about eyehealth and learn about giveaways! Be sure to Like us on Facebook to receive the latest news on giveaway prizes! 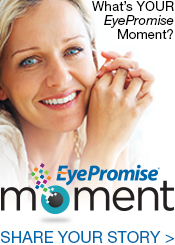 We at EyePromise are happy to answer any questions you might have. Click here and go to "questions" on the website to speak with one of our friendly customer service representatives.